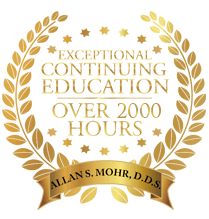 For nearly 30 years, Dr. Mohr has served the complete oral healthcare needs of patients in Long Island, NY and the surrounding areas, offering a comprehensive menu of restorative and cosmetic solutions coupled with the latest technology in the industry. He has more than 1800 hours of continuing education under his belt and believes firmly in the ongoing pursuit of knowledge and experience. 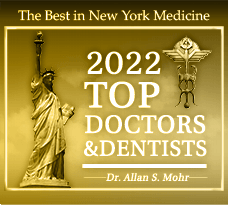 When you are looking for the best Long Island dentist for yourself and your family, you can rest assured in the knowledge that you’re all in good hands with Dr. Allan Mohr. 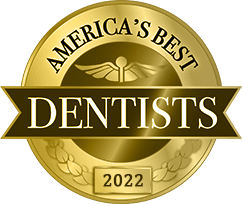 At Smile Creations, we understand that each and every one of our patients is a unique individual and in need of personalized, caring service. We take the time to get to know you and your family, working with you to develop a customized treatment plan that fulfills your needs and exceeds your expectations. We focus on patient education, helping you fully understand the state of your oral health as well as any recommended treatments. 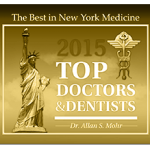 This is one of the many reasons our patients say that Dr. Mohr is the best dentist not only in Long Island, but in New York as well. For Dr. Mohr, the ability to change his patients’ lives for the better is truly his career’s most significant reward. 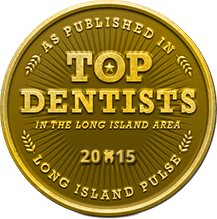 Allow us to show you why Dr. Allan S. Mohr is consistently and continuously voted the best dentist in Long Island, and experience the difference for yourself. 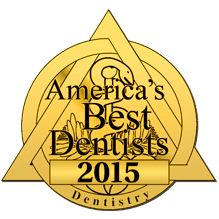 Contact us to schedule your visit to our Massapequa Park, NY dental office today. 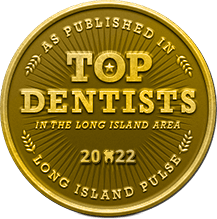 Our state-of-the-art office proudly serves patients from throughout Long Island, Seaford, Lindenhurst, Farmingdale, Wantagh, and the surrounding areas. by: tntadmin at March 23, 2015 .